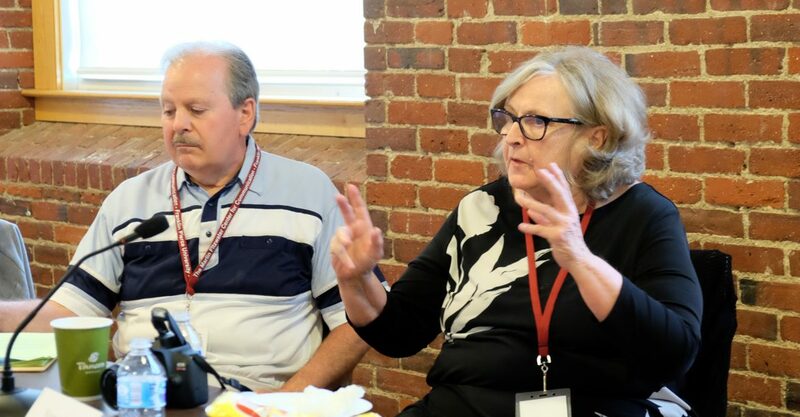 Nancy West, executive director of the New Hampshire Center for Public Interest Journalism, right, is pictured with InDepthNH.org columnist and consultant Bob Charest. The bad news is 60 percent of news jobs have disappeared in New Hampshire since 2001. The good news is InDepthNH.org is growing and we need your help. We are looking for enthusiastic, passionate, honest, ethical, talented, hard-working reporters, fundraisers, ad salespeople, social media interns and volunteers. Do you want to be part of the team that helps build the future of nonprofit news in New Hampshire? The New Hampshire Center for Public Interest Journalism is looking for dynamic, experienced journalists who seek out and develop stories that would otherwise go unreported to help build the future of news in the Granite State. Development director: New Hampshire Center for Public Interest Journalism is looking for an experienced, passionate, creative individual to build the fundraising arm of our fast-growing nonprofit news outlet, InDepthNH.org. Must be able to: Cultivate major donors, write grants, host meaningful events, increase individual donors, lead ad/underwriting sales team, teach interns. The right person will have experience in news and value honesty, fairness, and accuracy as much as we do. Part-time/consultant. Could lead to fulltime, leadership position in New Hampshire’s fast-growing online news world. Ad sales/underwriting: New Hampshire Center for Public Interest Journalism is looking for the right people to sell ads/underwriting to build the future of online news. InDepthNH.org holds government accountable, gives voice to marginalized people, places and ideas, and trains the next generation of journalists and news consumers. The right individuals will be experienced in the media or newcomers who are true self-starters. We need creative people who are passionate about news. Commission only at first. Interns: InDepthNH.org seeks high school and college interns to take over social media at New Hampshire Center for Public Interest Journalism. We want people who know how it’s done now in nonprofit news and thinks they can do better. We’ll give you the chance to be amazing. Unpaid. Check with your school or teacher first.